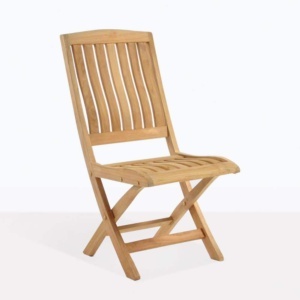 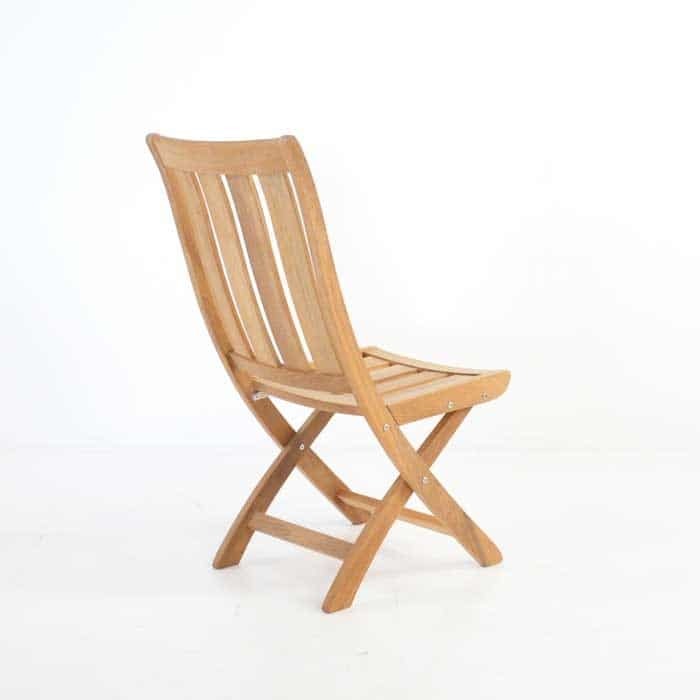 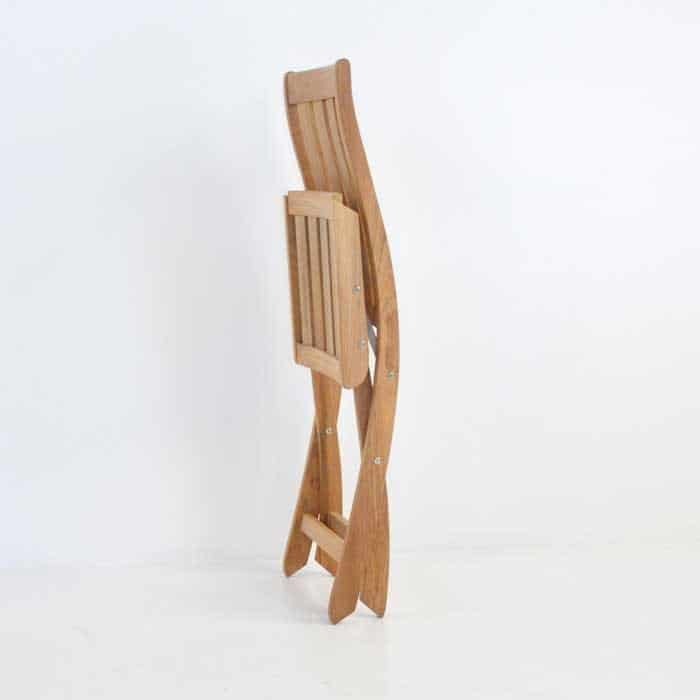 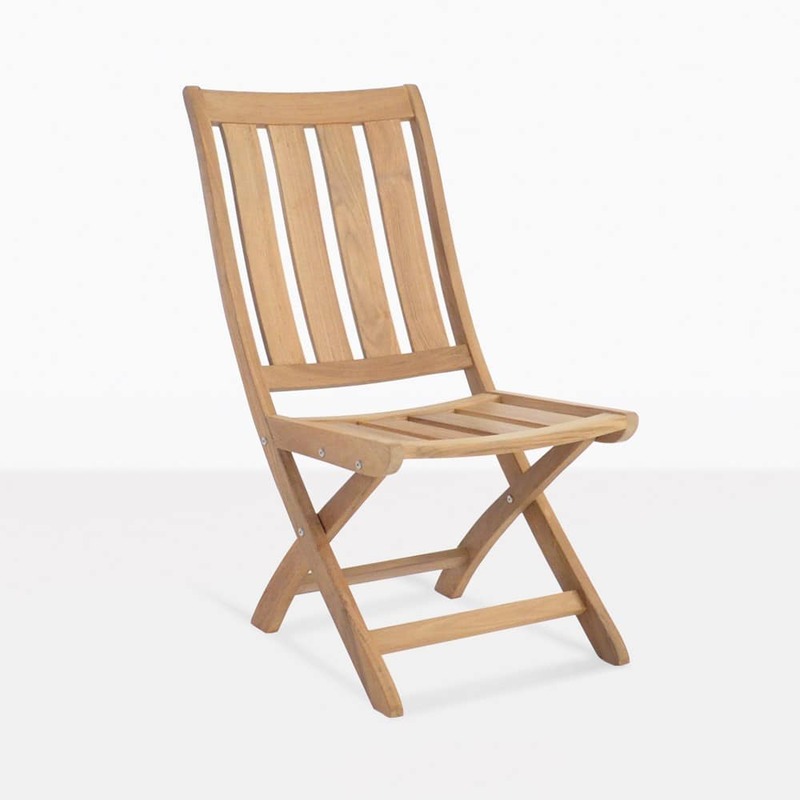 The Bella Teak Folding Side Chair is made of A-Grade Teak and #316 Marine Grade Stainless Steel fixtures. 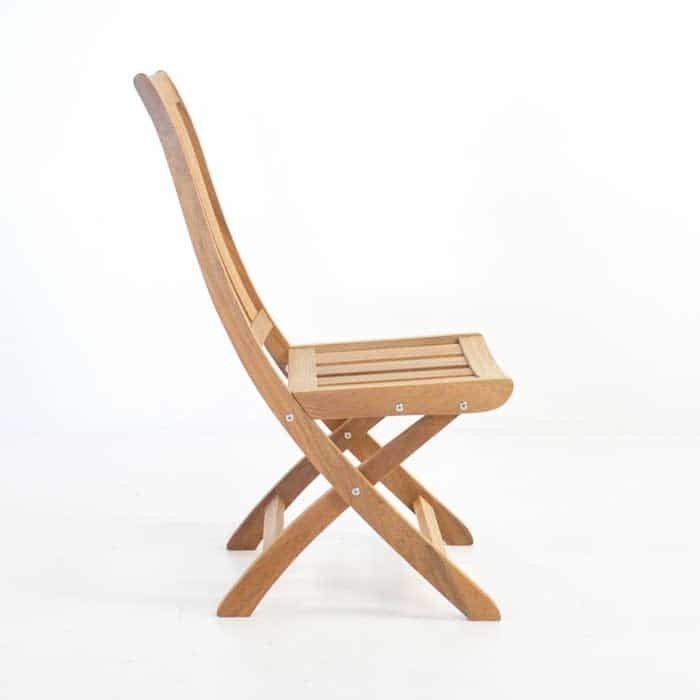 The Bella folding side chair looks and feels comfortable. 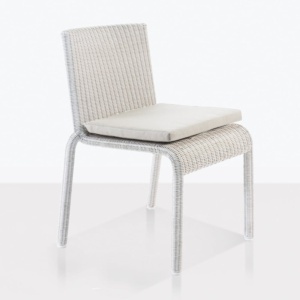 Because of the chairs wide planks, it’s not necessary to have cushions to enjoy the comfort and great looks of this chair. Folding for storage is a breeze. 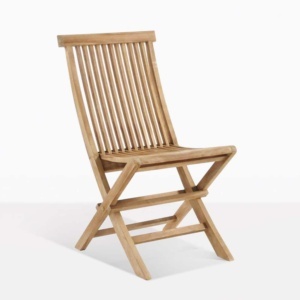 Also available as a folding arm chair.